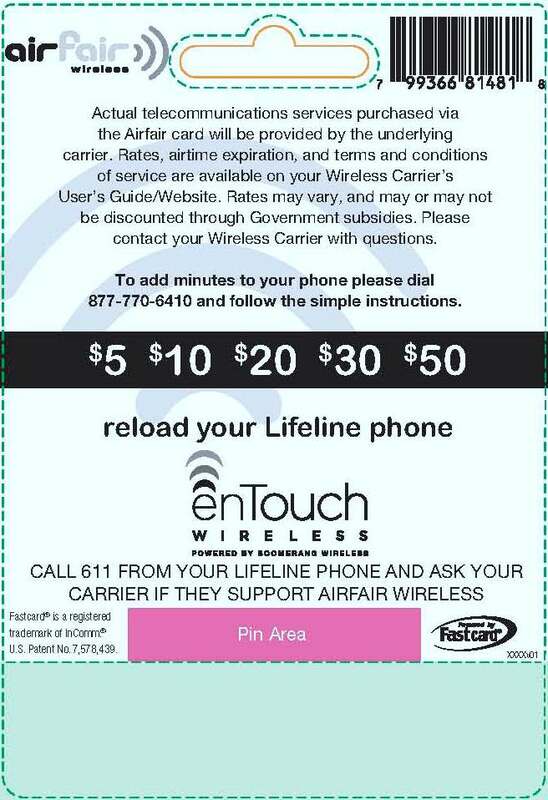 Use Airfair Lifeline Reload Cards To Buy Extra Services! 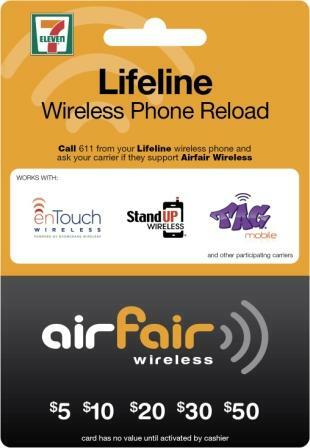 Introducing The Airfair Lifeline Reload Card! Airfair Lifeline Reload was an exciting development in the Lifeline free cell phone service market that you'll want to know about if you participate in this government sponsored program! Lifeline offers free cell phone service to income eligible households so that people who wouldn't otherwise be able to afford a wireless phone can get basic service. These programs are not, however, operated by the government directly. Wireless companies apply to become a Lifeline provider, and, if approved, receive a government subsidy for each customer they activate. But You May Need More! There are now a LOT of wireless carriers participating in the program, because although the service is free, and for low income families, it is very profitable for wireless companies. 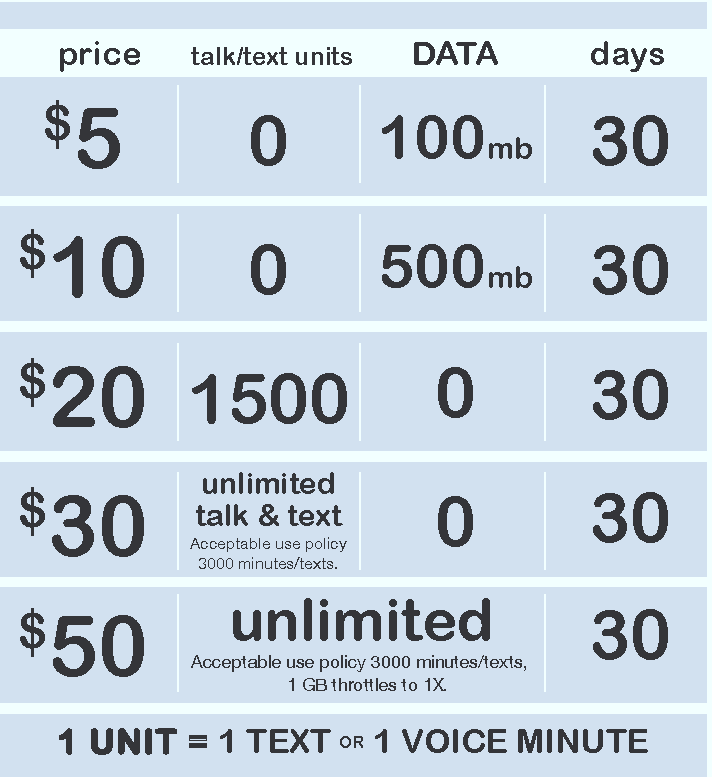 They provide qualifying customers with a certain number of free minutes and text messages per month. Services don't generally carry forward, meaning that if you don't use it, you lose it. While most of the programs have evolved to the point where they provide more than enough minutes and texts each month to support emergency calls, keeping in touch with family, basic schedule coordination, job searching, medical coordination and emergencies, etc., there is definitely a need for customers to purchase additional services. Overall, it can be less expensive to purchase additional services for your free wireless phone account than to pay for a landline or other wireless service. As a result, Lifeline providers have offered add-on bundles or packages that customers can purchase. However, they require that customers pay via credit or debit card, which is not always feasible or practical. The two largest Lifeline programs, Sprint's Assurance Wireless (merged in 2016 with i-wireless' Access Wireless brand, and TracFone's SafeLink, have had the advantage of nationwide retail distribution of top-up cards that they've made compatible with their Lifeline programs. In other words, you can use a Virgin Mobile top-up card to pay for additional services on Assurance, and you can use TracFone top-up cards for SafeLink. This makes it extremely convenient for customers using those programs to buy additional services for their Lifeline account. There are, however, a lot of other Lifeline programs that can't easily offer this type of in-store payment capability. Thus, in came Ready Wireless, in partnership with the country's largest retail transaction provider, inComm, with a universal top-up card designed specifically to service Lifeline customers. This card initially launched in 7-Eleven stores in support of Lifeline providers ReachOut Wireless, dPi Mobile, StandUP Wireless, MTI, TerraCom Wireless, YourTel, LifeTel, Telecom Service Bureau, Inc, Your Tel America, and Affordable Phone Services. Of course, more retailers and Lifeline providers are continually being added. Rather than each of these providers competing to get valuable shelf space in retailers, not to mention the operational cost and complexity of managing their own top-up programs, the Airfair Lifeline Reload Card simplifies the entire process for everyone involved, and most importantly, provides a consistent, and ultimately ubiquitous customer experience/access. It makes sense that Assurance Wireless and SafeLink are not participants given their massive distribution with Virgin Mobile and TracFone, respectively. If Sprint ultimately gets rid of its Virgin and Boost Mobile prepaid brands, I could see them jumping on board with Airfair Lifeline Reload Cards, however, that's not going to happen anytime soon. It's also a much simplified branding experience for customers who know they have a Lifeline phone. Just look for the Lifeline branded top-up card and you're good-to-go! Overall, I think this is a great idea that will benefit customers, particularly as the number of retailers continues to expand. Below you'll see the what the top-up card looks like, as well as the available add-on options. Note that these plans may have changed; I'm still looking for the updated cards, which has proved more difficult than expected. Arguably, if you can afford $50 per month (or even $30/month), there are a plethora of prepaid wireless carriers that offer more competitive plans compared to what you'll get with this option. The real benefit here is that if you can't afford to pay that much in a particular month, you can simply use your free Lifeline services. Or if you're going out of town, or need a lot of minutes only on occasion, this is a great way to simply add services onto the phone you're already using only when you need it, or can afford it. Lifeline refers to ANY carrier that participates in the free government sponsored program. Each participating carrier has their own name/brand for their Lifeline program. The participating providers are listed on the front of the card. enTouch Wireless is Ready Mobile's own Lifeline brand. You'll see their logo on the front of the card where it displays the participating carriers. You'll also see the logo on the back of the card. Personally, I think having it on the back of the card is confusing; it really should just be on the front among the other carriers. Airfair Wireless is the brand that was created to represent the universal Lifeline top-up program. Arguably, it also represents itself as another Lifeline provider. I say this, because if you buy one of the $30+ top-ups, you're really buying a full-on plan, which then makes Airfair a wireless provider like any other prepaid carrier. I suppose that's why they didn't just go with a more straightforward brand/name like "Lifeline Universal Reload" or something in that vein. In other words, Airfair top-up cards can be used to add services to participating Lifeline programs, or Airfair is a Lifeline plan of its own if you're buying one of the larger cost reloads. That said, you obviously need to qualify and get a Lifeline program independently, so you can't just buy one of these cards and use it as an independent plan. A lot of Lifeline providers offer the ability to add on additional services if you have the money to do so. Thus, I think the Airfair program could have been simplified by offering a means of adding money to your Lifeline account, and the Lifeline provider would then be responsible for selling you their add-ons. That said, for carriers that don't offer any add-on services, Airfair enables their customers to purchase add-on services that they otherwise wouldn't have access to. It's also arguably an easier method of simply having the services added immediately upon redeeming the card, rather than having to essentially add cash, and subsequently select the add-on you want from your Lifeline provider. Overall, despite the potential branding and add-on confusion, bringing top-up capability to mass retail for Lifeline customers is a fantastic strategy for Ready Wireless and inComm, and is a extremely beneficial for customers. No doubt the add-on services, and what's included will evolve over time. To find a location check out the AirFair Wireless Store Locator. Learn more about Lifeline Free Cell Phone Service, and even explore Free Wireless Broadband Options!